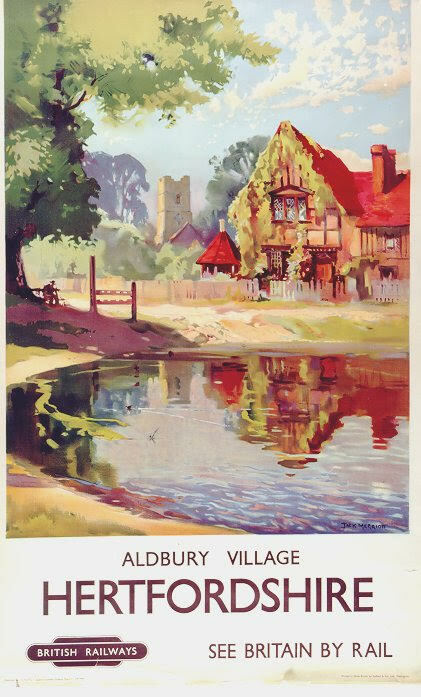 Poster of Aldbury Village | The Dacorum Heritage Trust Ltd.
‘British Railways’ advertising poster showing an image of Aldbury by artist Jack Merriott. Published in 1949 as part of the “See Britain by Rail” series. Purchased by the Friends of Dacorum Museum and is part of the DHT collection.